Actress Rachael Taylor at a press conference in Sydney. Rachael Taylor at the L.A. premiere of "The Rover." Actress Megan Fox of the US and Australian actress Rachael Taylor at a special "Transformers" screening in Sydney. Actress Rachael Taylor and friend at the Channel 7 Cocktail Party in Sydney. Actress Rachael Taylor attends the Australians In Film 2006 Breakthrough Awards in Beverly Hills. Rachael Taylor at the Max Azria Fall 2007 fashion show in New York. Australian actress Rachael Taylor at a special "Transformers" screening in Sydney. Rachael Taylor and Joshua Jackson in "Shutter." Rachael Taylor and Thomas Middleditch in "Splinterheads." Australian actress Rachael Taylor, Director Michael Bay and actress Megan Fox at a press conference in Sydney. Actresses Megan Fox and Rachael Taylor at a press conference in Sydney. Rachael Taylor and Anthony Anderson in "Transformers." Actress Rachael Taylor at the Channel 7 Cocktail Party in Sydney. Actress Rachael Taylor at the 2007 MTV Movie Awards in Universal City, California. Actress Rachael Taylor arrives at the 5th Annual Celebration of New Zealand Filmmaking and Creative Talent at the Beverly Hills Hotel. Actress Rachael Taylor at the "Transformers" premiere in Westwood, California. 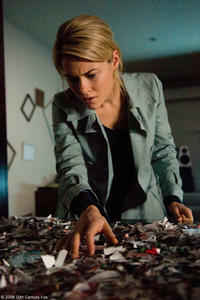 Rachael Taylor in "The Darkest Hour."